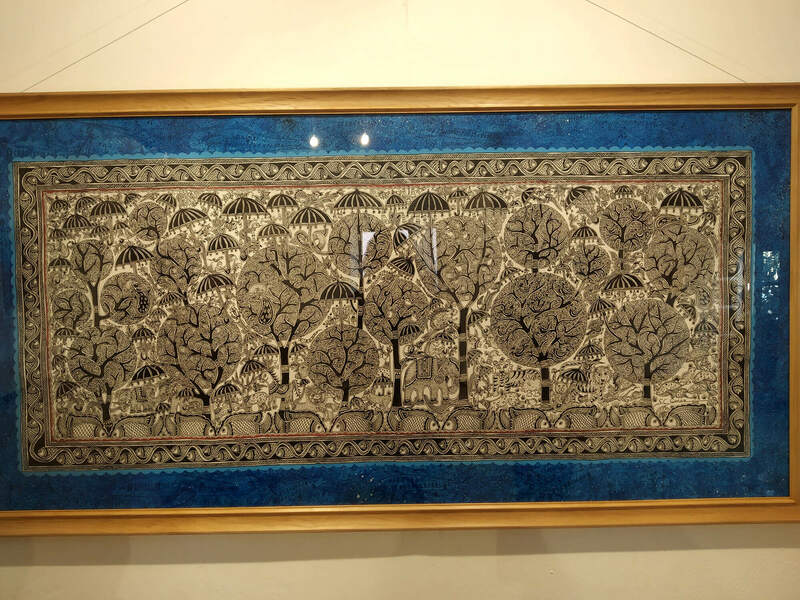 In his 16th solo exhibition Mithila Cosmos: Songs of Innocence and Experience, artist SC Suman depicts his experiences in his signature Mithila style. The exhibition at the Siddhartha Art Gallery brings southern Nepal’s popular art form to Kathmandu. Mithila paintings are a renowned art style practiced by women of Nepal and some parts of India. Traditionally, women used to make the two-dimensional figures on the walls of homes with natural colours, and they were compulsory during festivals and celebrations. The sketches of daily life and mythical stories are now fast disappearing from homes, but making a re-appearance in art galleries and craft shops. 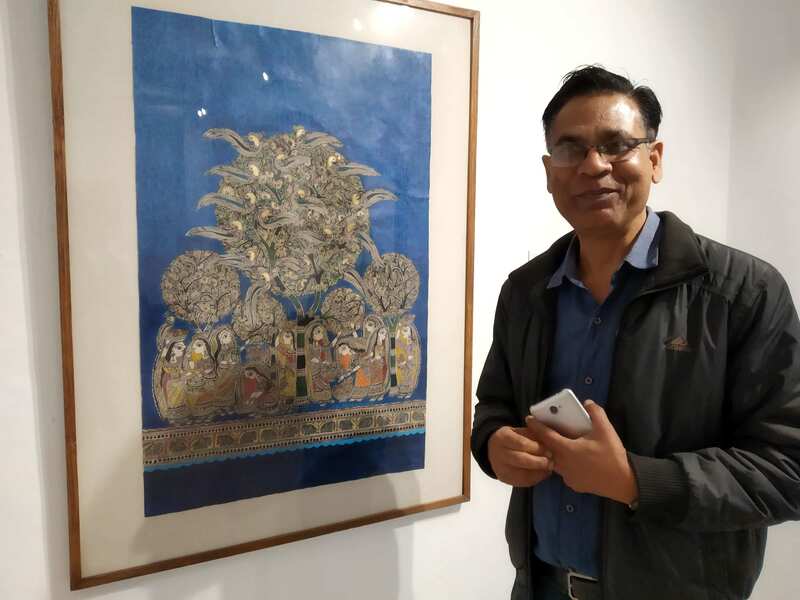 SC Suman, one of the pioneers of expanding the boundaries of Mithila art in Nepal, has incorporated his experiences of living in Kathmandu into this exhibition. So not only do we see the sketches, flat figures in vibrant colours that characterise Mithila art, there are also Kathmandu landmarks like Swoyambhu, Pashupati, Kirtipur, and Newa architecture in the paintings. One of them even the paintings of the eyes and five Buddhas that the Newa community paints on doors. Indeed, Suman’s paintings capture the melting pot that is Kathmandu. 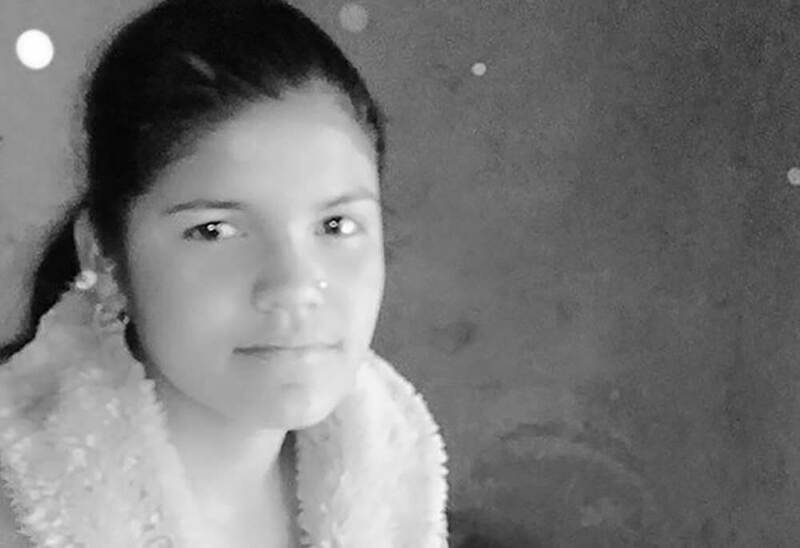 We see Kathmandu evolving through the window of Mithila art: from bucolic rural life of fields and trees, to a crowded milieu of buildings and more buildings. Suman’s spiritual and environmental concerns are also reflected in paintings like the one of Dashavatar, containing all nine avatars within the outline of the Buddha, implying that the tenth avatar is a composite of every idea that came before. Though a Hindu, Suman puts the Buddha foremost in this work as well as paintings that touch the roots of Mithila philosophy with a tree of life, and the cosmos. In a panorama of Nijgad forest which is now threatened by a proposed international airport, Suman gives umbrellas to the monkeys, birds, elephants that live there, but not to trees. “The umbrella is a symbol of protection. Everyone needs them, even animals and trees. But who will speak up for them as we speak of rapid development that will fell the oldest trees first?” he asks. The Kachni style of line work, and Bharni which means colouring are both reflected in Suman’s rendering of the Mithila style. Most of his paintings are fusions of line work, or colours filled in with intricate precision, while some have broad swathes of background colours as befits the mood. 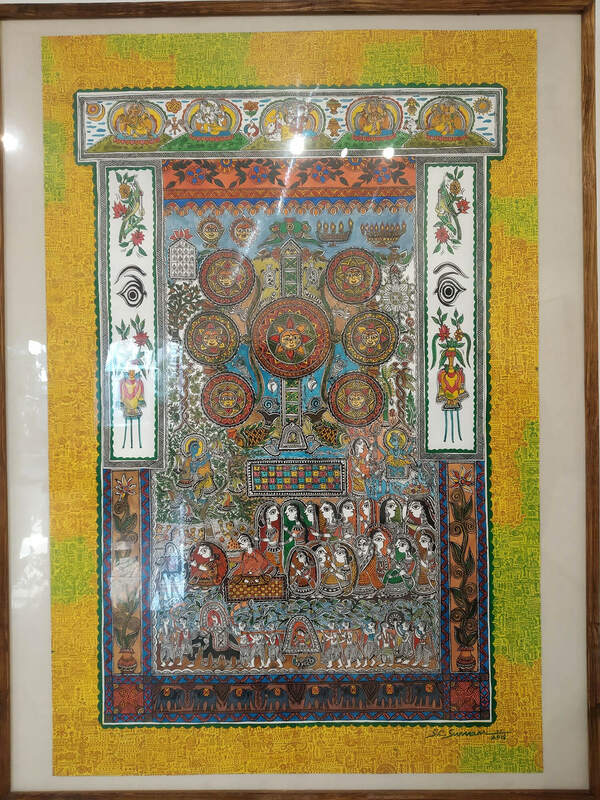 Suman’s work widens the traditional range of Mithila paintings to depict a whole spectrum of emotional and spiritual ideas, while still retaining the basic art form. 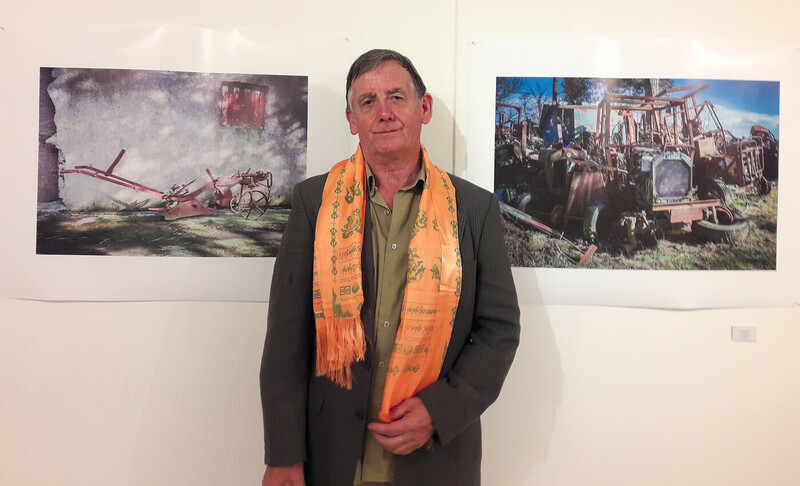 The exhibition also gives visitors an artistic representation of Kathmandu’s metamorphosis.